Debate: Was Edward Snowden Justified? Some consider former NSA contractor Edward Snowden a hero for releasing classified material to the media; others argue that he has irreparably harmed national security. Famed whistleblower Daniel Ellsberg and a former CIA director face off in the latest Intelligence Squared debate. Debate: Was Edward Snowden Justified? Ben Wizner (left) and Daniel Ellsberg argue in favor of the motion "Edward Snowden Was Justified" in an Intelligence Squared U.S. debate on Feb. 12. Many people fervently consider alleged NSA leaker Edward Snowden a whistleblower who did a great service by revealing information about the U.S. government's secret surveillance programs. His release of highly classified national security documents, they argue, has sparked an important public debate that could ultimately force a needed overhaul of the NSA's surveillance programs. Others feel just as strongly that Snowden is a traitor who has revealed highly sensitive information to unfriendly countries and put national security at risk. He undermined the NSA's ability to track important developments within al-Qaeda and other terrorist groups and in countries like Iran and Russia, his critics argue, and deserves to be prosecuted. Two teams recently faced off on the motion "Snowden was justified" in an Oxford-style debate for Intelligence Squared U.S. In these events, the team that sways the most people by the end of the debate is declared the winner. Before the debate, the audience at New York City's Kaufman Music Center voted 29 percent in favor of the motion and 29 percent against, with 42 percent undecided. Afterward, 54 percent agreed with the motion, while 35 percent disagreed — meaning the side arguing that Edward Snowden was justified were the winners of this particular debate. Andrew C. McCarthy, a contributing editor at National Review and a senior fellow at the National Review Institute, is a former top federal prosecutor. A former chief assistant U.S. attorney, he is best known for leading the prosecution against Omar Abdel Rahman and 11 others for waging a terrorist war against the U.S., including the 1993 World Trade Center bombing and a plot to bomb New York City landmarks. After the 9/11 attacks, he supervised the U.S. Attorney's command post near Ground Zero and later served as an adviser to the deputy secretary of defense. He retired from government in 2003 and is the author of Willful Blindness and The Grand Jihad. Amb. 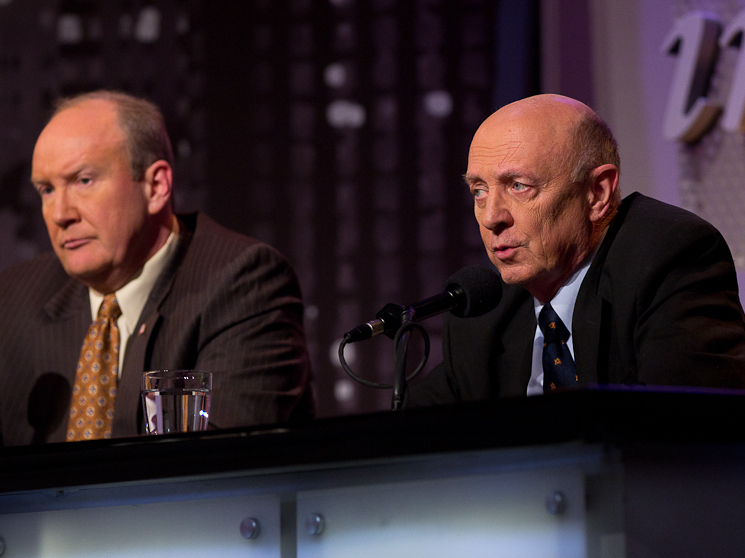 R. James Woolsey (right) and Andrew C. McCarthy argue that the material leaked by Edward Snowden has put U.S. national security at risk. Ambassador R. James Woolsey, a former director of the Central Intelligence Agency, chairs the board of the Foundation for Defense of Democracies and is a venture partner with Lux Capital Management. Previously, he served in the U.S. government on five different occasions, where he held presidential appointments in two Republican and two Democratic administrations. In addition to heading the CIA, Woolsey served as ambassador to the negotiation on Conventional Armed Forces in Europe, Vienna; undersecretary of the Navy and general counsel to the U.S. Senate Committee on Armed Services. Woolsey was also a vice president and officer of Booz Allen Hamilton and a partner at the D.C. law firm of Shea & Gardner, now Goodwin Procter, where he is currently of counsel. Daniel Ellsberg is a former U.S. military analyst who, in 1971, leaked the Pentagon Papers, which revealed how the U.S. public had been misled about the Vietnam War. After serving in the Marine Corps, he became in 1959 a strategic analyst at the RAND Corporation and consultant to the White House and Defense Department, which he joined before transferring to the State Department to serve in Saigon. On return to RAND in 1967, Ellsberg worked on the top-secret McNamara study of U.S. decision-making in Vietnam, 1945-68 --the study that later became known as the Pentagon Papers. Ellsberg's trial on 12 felony counts was dismissed on grounds of governmental misconduct against him. Ellsberg is the author of several books, including Secrets: A Memoir of Vietnam and the Pentagon Papers. He is now a senior fellow of the Nuclear Age Peace Foundation. 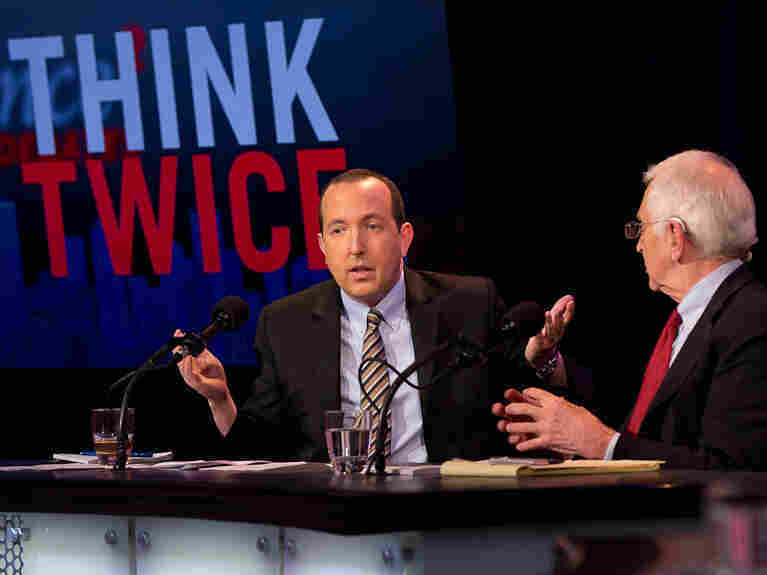 Ben Wizner, legal adviser to Edward Snowden, directs the ACLU's Speech, Privacy and Technology Project, which is dedicated to protecting and expanding the freedoms of expression, association, and inquiry; expanding the right to privacy and increasing the control that individuals have over their personal information; and ensuring that civil liberties are enhanced rather than compromised by new advances in science and technology. He has litigated numerous cases involving post-9/11 civil liberties abuses, including challenges to airport security policies, government watchlists, extraordinary rendition and torture. Ben is a graduate of Harvard College and New York University School of Law and was a law clerk to the Hon. Stephen Reinhardt of the U.S. Court of Appeals for the 9th Circuit.